Here’s something cool! CloudChamber lets you hear your sounds played in the Reverberation Chamber at the National Physical Laboratory in London, UK. You can submit your sound to be playedo through a pair of loudspeakers into the chamber which is then recorded in stereo with a pair of measurement microphones. The recordings are then uploaded to the CloudChamber soundcloud page for all to hear, and a direct link to the recording is tweeted to the submitter. CloudChamber was originally built for Music Hack Day London 2009, and has been rewritten over the last couple of weeks (June 2014) for Music Hack Day 2014 at Sonar+D in Barcelona, Spain. The Reverb Chamber is one of several acoustic measurement facilities in the Acoustics department of the National Physical Laboratory in London, UK. Its a big empty room with hard walls, floor and ceiling and no parallel surfaces. This means sound in the chamber bounces around a lot, and therefore the chamber has a very long reverberation time. Reverberation times can reach over 30 seconds for low frequency sounds. 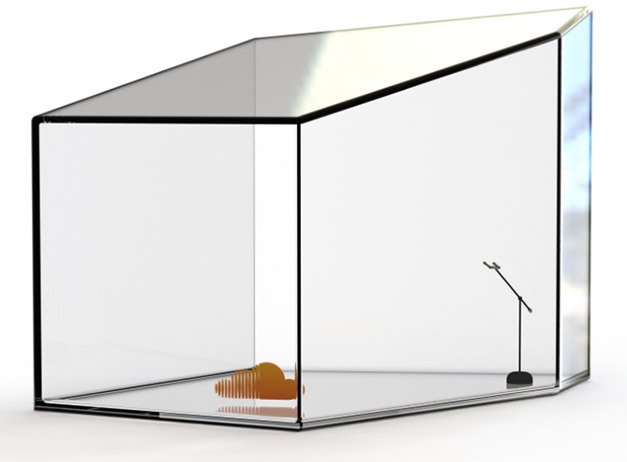 For more information on CloudChamber and to send in your sounds for playback in the Reverberation Chamber, visit the CloudChamber website.